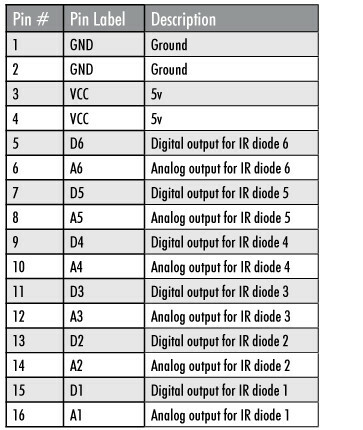 Consists of 6 IR diodes. 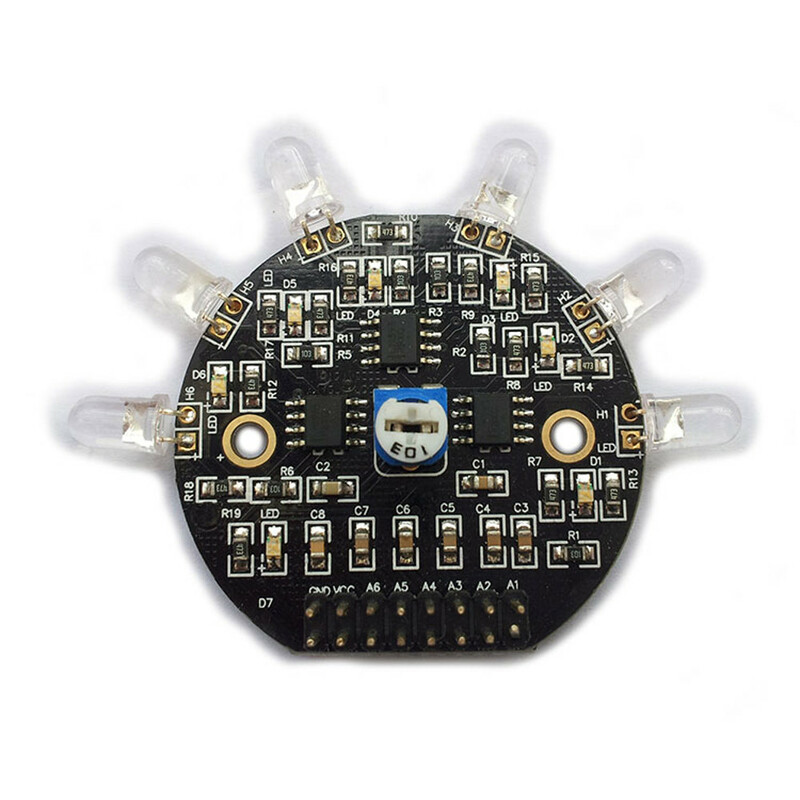 This IR Follower module can be used to sense infrared light as a way to guide your Arduino project. The device has a digital and analog output for each IR diode. The analog output for each respective LED will put out a voltage from GND to VCC depending on the amount of light applied to the diode. The digital output for each respective LED will put out VCC (HIGH) if light is not detected, and GND (LOW) if light is detected.